Janice Guffey married Billy Eudy. Newport, Ark. — Wilsonville, Ore. resident, Reva Renee Eudy Ames, 56, passed from this life Dec. 12, 2010. Reva Eudy was born June 24, 1954 in Newport. She grew up in Tuckerman and graduated from Tuckerman High School as Valedictorian. She received a National Merit Scholarship and attended Arkansas State College. In 1974, Reva moved to Oregon and on July 4, 1980 she married Wesley H. Ames in Salem, Ore. Reva interned for and was certified as an addiction councilor during 1985 and 1986. She rose to management positions with Hazelden/Springbrook treatment centers, and did addictions work in many locations, including Portland, Ore., Eugene, Ore., Seattle, Wash., and Minneapolis, Minn. Reva’s greatest skills and passions were to help people and care for family. 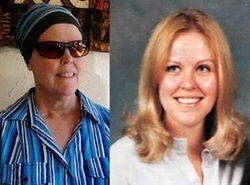 Reva is survived by her husband of 30 years, Wesley Ames; son, Robert Ames of Wilsonville, Ore.; daughter, Christine Gisotti of Mission Viejo, Calif.; sisters, Thelma Christine Guffey of Cash, Marva Latricia McDermott of Salem, Ore.; brothers, Clinton Eudy of Salem, Ore., and Dale Eudy of Dunnellon, Fla.; and so very many other close friends and relatives. She was preceded in death by her mother, Christine Eudy; her father, William Howard Eudy; and two brothers, Rodney Dwain Eudy and William Howard Eudy JR.(Billy). A celebration of Reva’s life will be held Jan. 8, 2011 at 2 p.m. at the Frog Pond Church (AKA Meridian United Church of Christ). Memorial contributions may be sent to Alcoholics Anonymous at www.aa.org. Online condolences may be sent at www.ANewTradition.com. Arrangements by Crown Memorial Center – Tualatin.